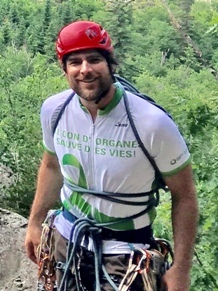 Dr. Matthew Weiss, medical director of organ donation at Transplant Québec and pediatric intensive care doctor at the CHU de Québec – Université Laval, has decided to push his limits to raise money for Transplant Québec this fall as he combines two of his passions: rock climbing and organ donation. Together with his long-time friend Jim Haggith, a physical education teacher from the south shore of Montréal, they reached The Nose of El Capitan on September 22, 2018. 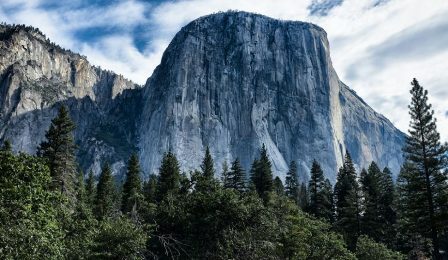 This granite monolith of nearly 1,000 meters (3000 feet) is located in the Yosemite Valley in California, and is widely regarded as one of the best rock climbing routes in the world surrounded by stunning natural splendor. Devoted to the cause, Dr. Weiss promoted his trip as a fundraiser for Transplant Québec. Funds raised by this activity will go towards increasing education around organ donation for healthcare professionals, in order to assure that we are able to honour the request of every person who hopes to offer the gift of life after the loss of a loved one. Our sincerest thanks to all who encouraged Matt and Jim by making a donation.